We're making terrific progress in the second litzing contest! Currently Mark Diehl is leading the pack with a total of 130 litzed puzzles, Howard Barkin is hot on his heels with 123 litzed puzzles, and Jeffrey Krasnick holds a solid third place with 87 litzed puzzles. On Thursday, Jeffrey put us over 6,800 on the litzing thermometer, and we're now almost at 6,900—well on our way to the halfway-point goal of 8,113 litzed puzzles by the end of February. Every litzed puzzle helps, so thanks and great job, everybody! The Pre-Shortzian Puzzle Project received some more publicity recently, first in Tyler Hinman's article "Touch of Genius: Puzzazz Brings Puzzles to Your Touchscreens" in Wired, in which he interviews Puzzazz founder Roy Leban, who mentions the Pre-Shortzian Puzzle Project. Then, in Amy Reynaldo's Diary of a Crossword Fiend, the project was lauded by T Campbell for The Honorary Orcas award for best work in crossword scholarship. Thanks, Roy and T! Recently I've received numerous comments from litzers about politically incorrect terms that found their way into Weng-edited crosswords. One litzer noted a puzzle that contained the entries MORON (clued as "One of low I.Q. "), MANIC ("___-depressive"), and HOLO ("Prefix for caust")! In the same batch, the litzer found a puzzle with its entire theme based on negativism, as well as a puzzle that contained the entry COOLIES. Another litzer commented that he'd litzed Weng-edited puzzles with references to the Nazis, the KKK, and even fill-in-the-blank clues for racial slurs. I took a look through Maleska's clues on XWord Info for potentially offensive terms and found that he bent over backwards to avoid cluing them like Weng did—he only clued MORON in reference to an Andalusian city, HOLO as the combining form for complete, and MANIC as a synonym for frenzied. It should be interesting to see how Margaret Farrar approached clues for such entries—I'm a little leery, though, since I've already seen that she referred to the Japanese as Japs. But that seems to have been common back then; in general, the clues and entries seem to have become more politically correct over time, no doubt reflecting changes in our society as a whole. 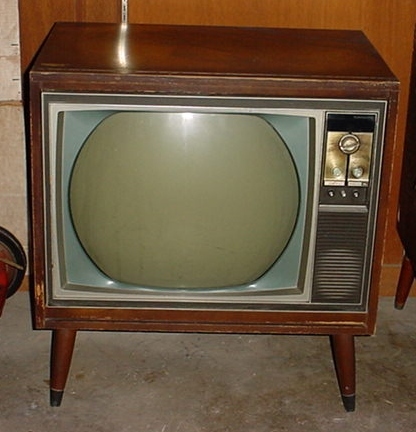 Image courtesy of CT-TV Vintage Television.